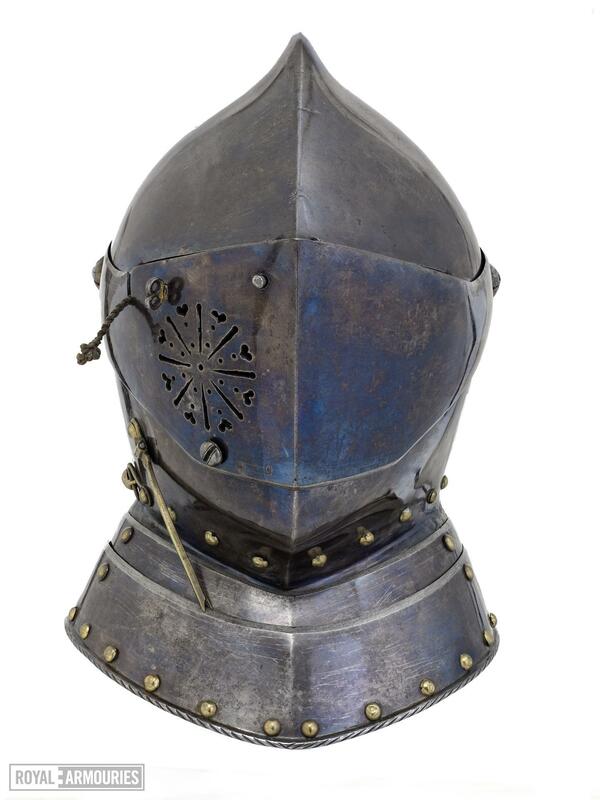 Purchased at auction, Christies 2 June 1959, with the assistance of the National Art Collections Fund and the Pilgrim Trust. 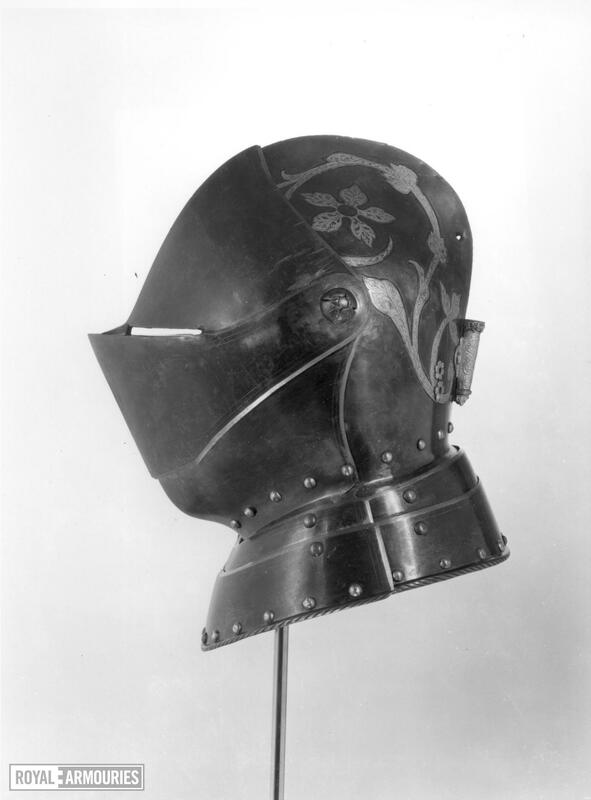 From the Royal Armoury, Dresden, and the Clarence H Mackay collection. 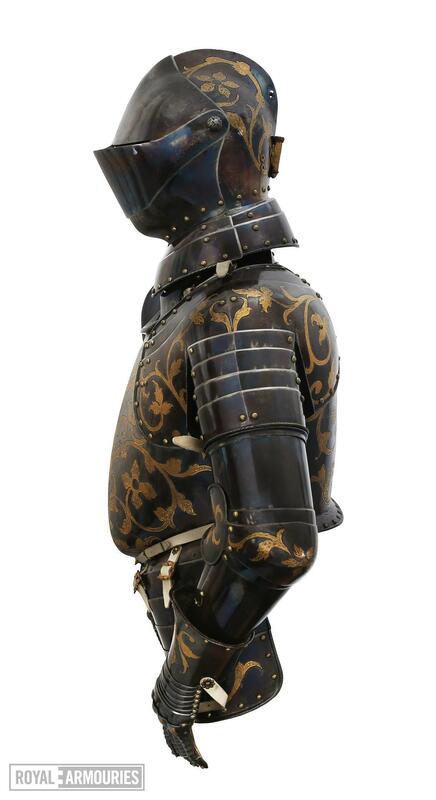 Consisting of close helmet, peascod breast and back, tassets, pauldrons, vambraces and gauntlets. 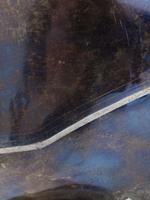 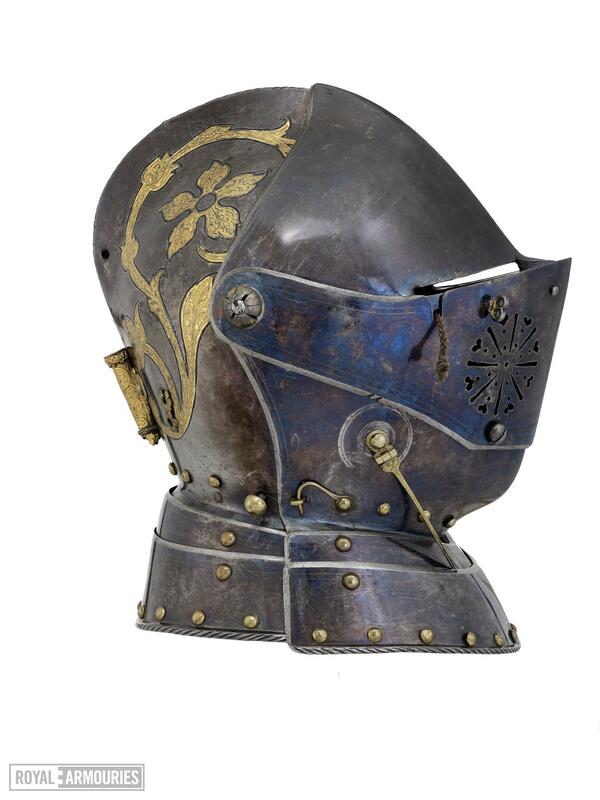 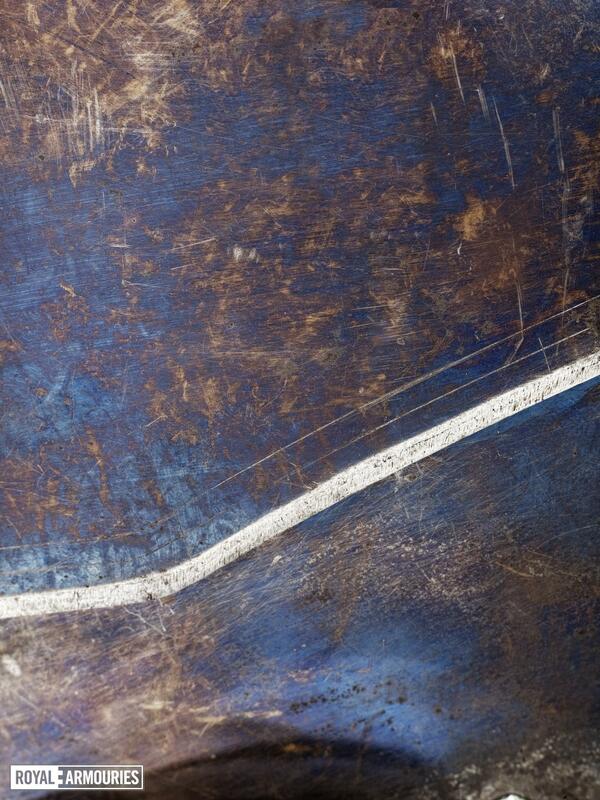 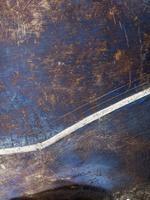 It is blued, etched and gilt. 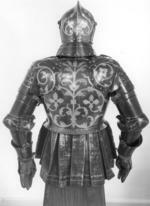 A set of twelve identical armours was ordered by the Sophia of Brandenburg as a Christmas present for her husband, Christian I, Elector of Saxony (1560-91), in 1591. 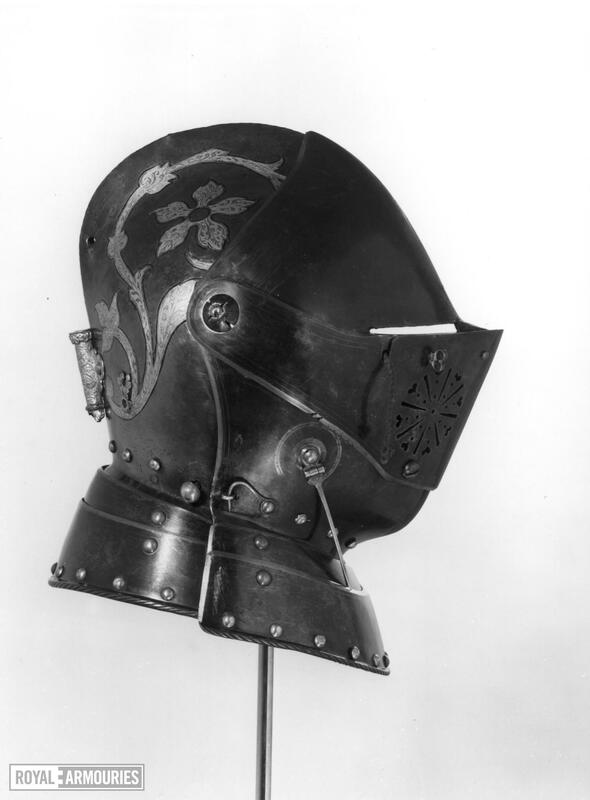 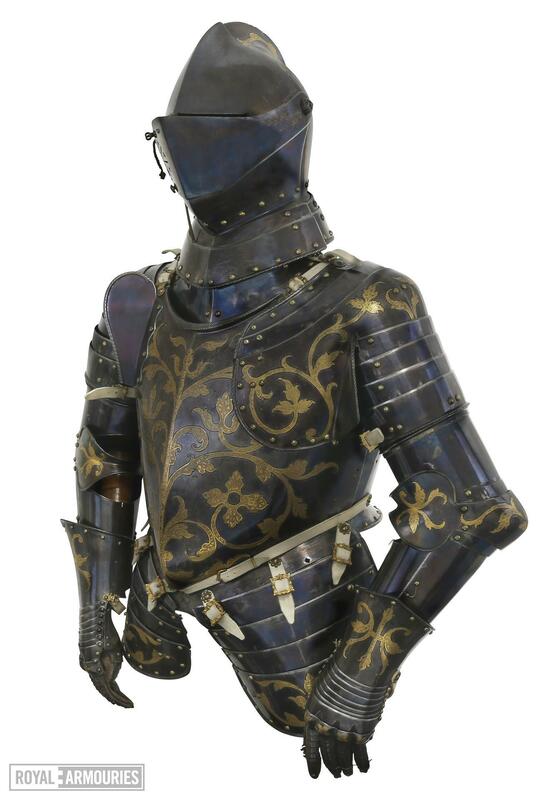 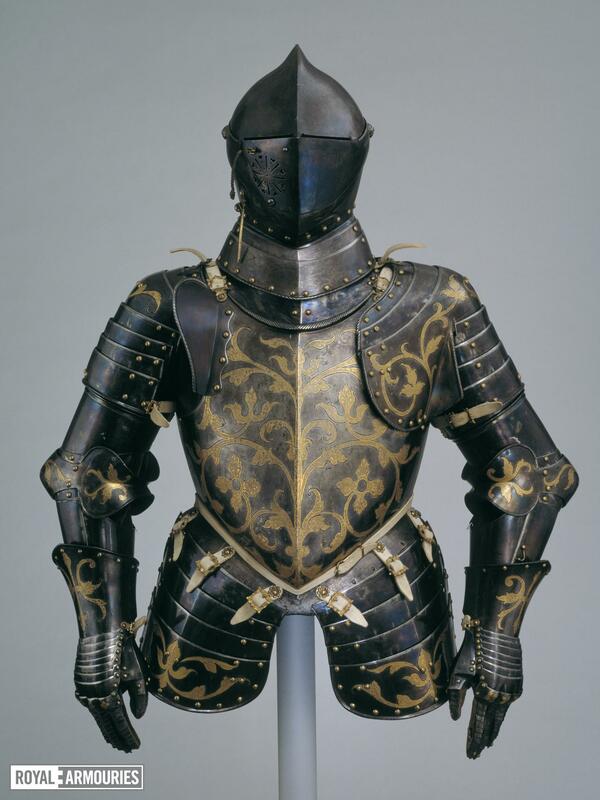 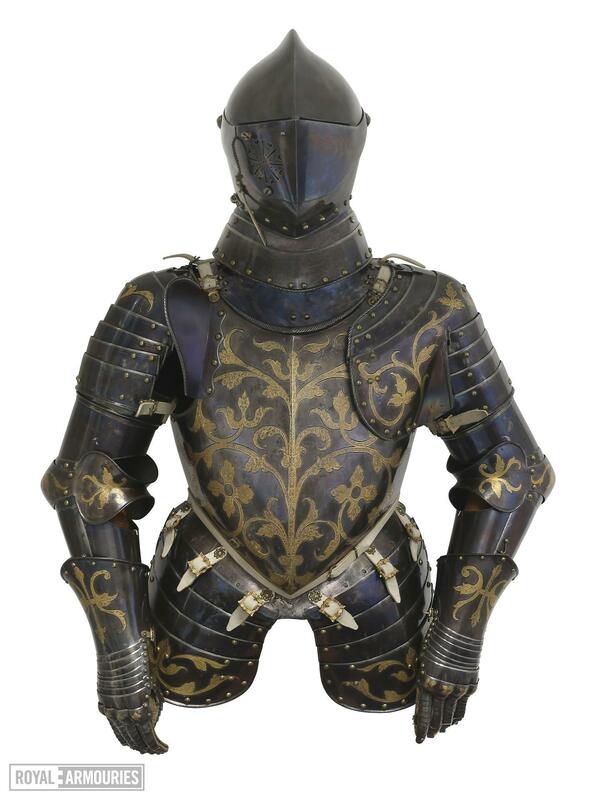 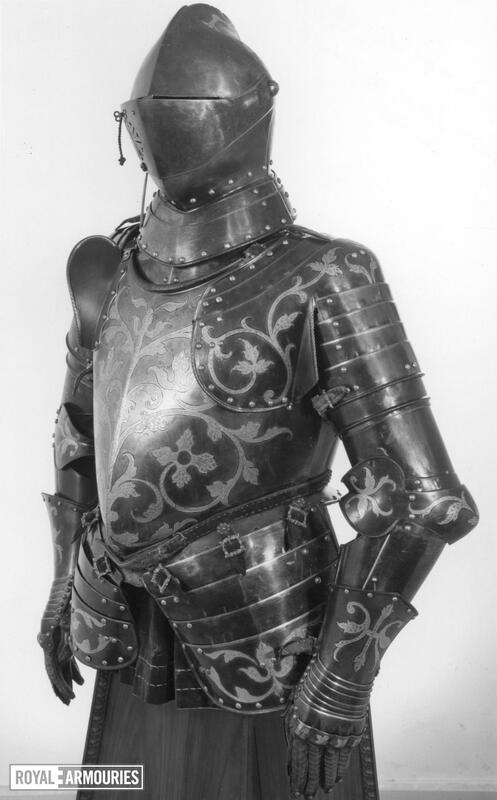 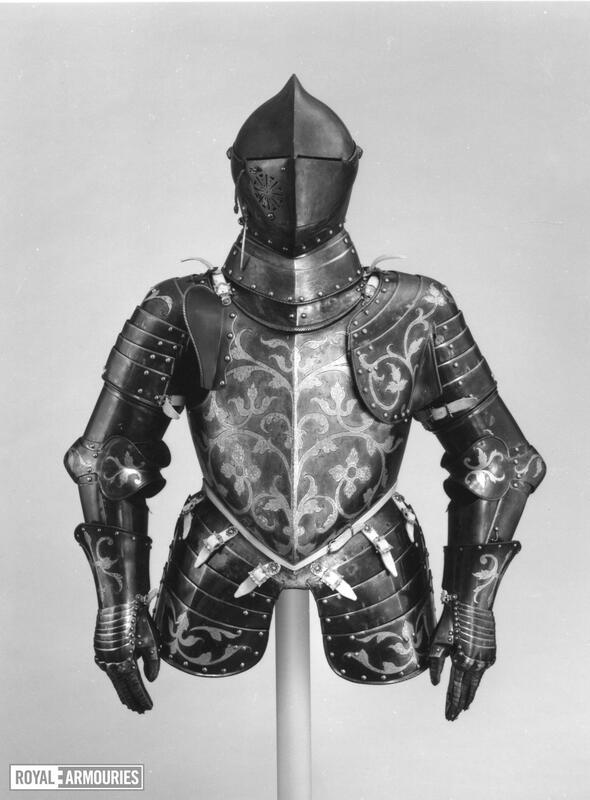 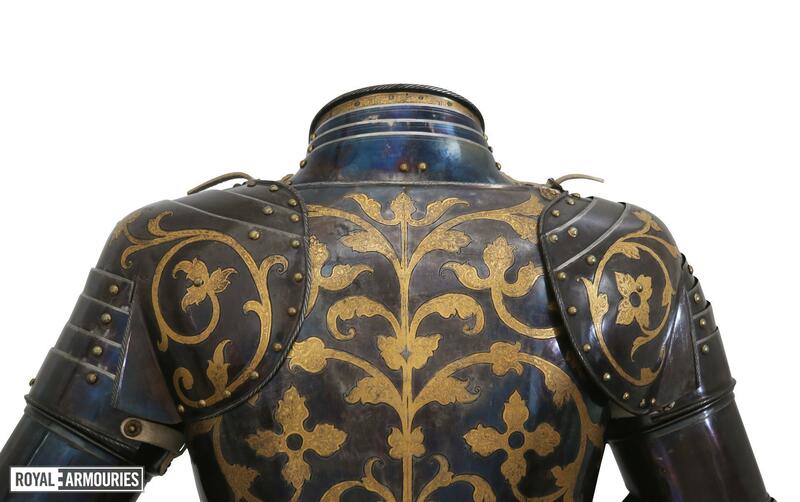 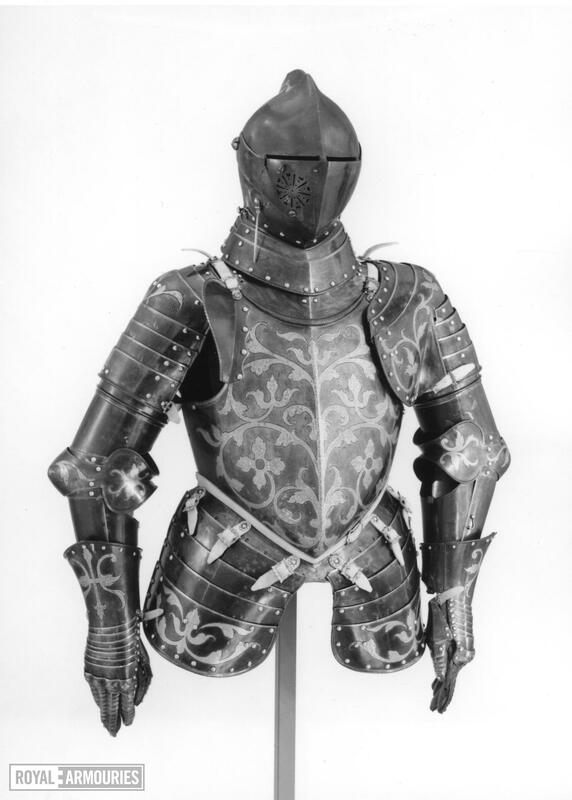 The armours were made by Anton Peffenhauser of Augsburg (1525-1603), the foremost German armourer of his day, and were decorated in etching and gilding with bold floral scrolls. They were made as half armours for wearing in the foot tournament with pikes over the barriers. 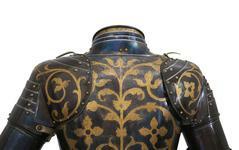 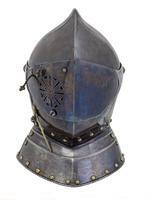 Sadly Christian died in September 1591 before the armours were delivered. 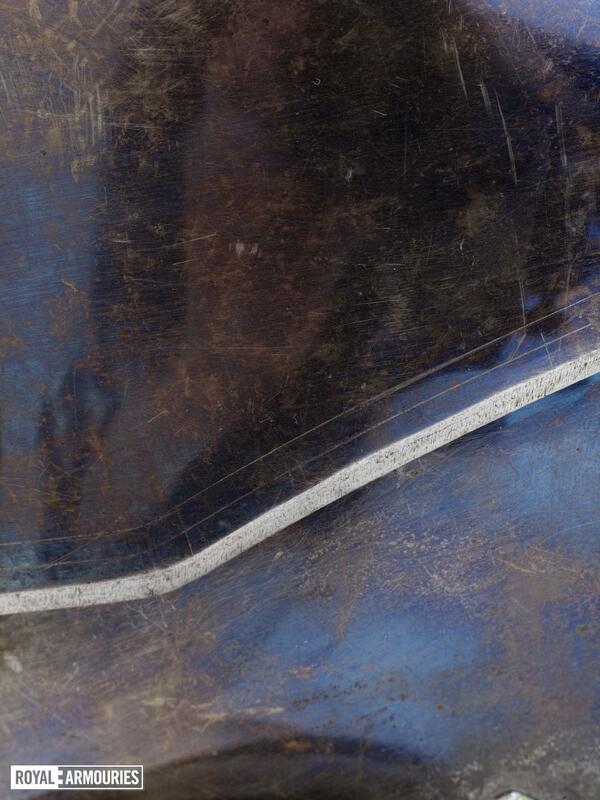 Sword cuts on the close helmet show that the armour was actually used in the tournament. 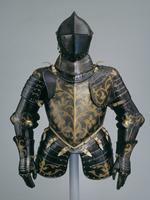 The group of armours is now divided between collections in Leningrad, Crakow, Dresden, Nuremberg, London, New York and Detroit.